We are a fully licensed and bonded Home Remodeling and Design Firm specializing in traditional and contemporary residential remodeling and design. With over 30 years of experience in the Vancouver WA area, Designers Northwest has the skills, resources & technical knowledge necessary to complete every remodeling project to exceed your expectations. If you are thinking about remodeling the bathroom, transforming the kitchen or turning your basement into a stunning retreat for your family/guests, let our dedication & experience take your project to the next level! Let us help guide you through your kitchen remodel and ease the stresses of making decisions, and streamline the actual work of demolition and rebuilding. With good planning, your dream kitchen can be a reality sooner than you think. To keep a home fresh and up to date, the day will come when you find yourself faced with a home remodeling job. It can be as simple as new flooring in one room and a fresh coat of paint throughout, or adding a room and moving walls, doors, and windows. 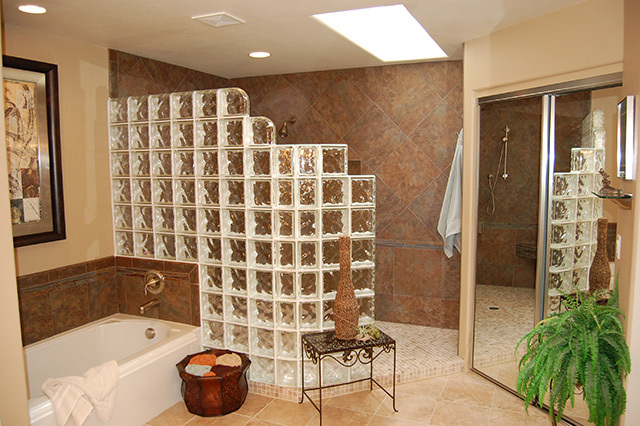 Bathroom remodeling can be overwhelming, but an experienced bathroom remodeler can save you time, money, and frustration. 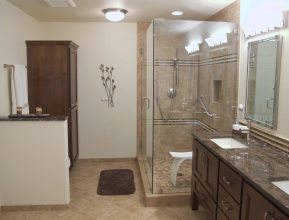 We design bathrooms that range from functional and practical to the spa-like, featuring luxurious relaxing amenities. I had a very positive experience working with Mike Kinneman at Designers NW. He did an excellent job stepping through our large renovation project and was extremely knowledgeable and helpful. Also- best quality is that Mike is an excellent communicator. I would work with him again. 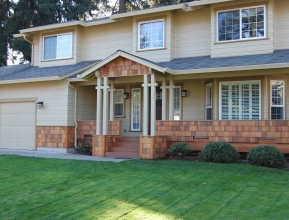 Designers Northwest is a locally owned independent residential general contractor well known for quality residential remodeling in Vancouver, WA area. Regardless of your design requirements or budget, we will work with you every step of the way to provide you with a home remodel project that you can be proud of. Whether you need a total bathroom or kitchen remodel or just some flooring repair we will be happy to give you a quote and outline the entire home improvement project with you. 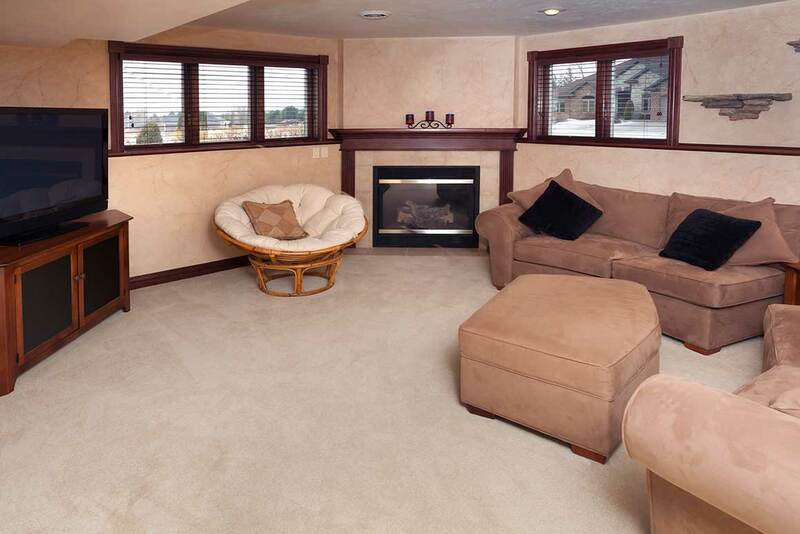 One of our specialties is Aging in Place home remodeling and improvements. We are highly experienced with adapting the current living quarters of your home to meet the special needs required by aging or disabled members of your household. As an independent remodeling contractor we are always able to work closely with you to provide a truly personalized home remodeling project. You can rest assured that we will provide you with a custom remodel that meets the individual needs of your household, providing a safe and comfortable environment for all. The best part is being a locally owned and independent Residential General Contractor here in Southwest Washington, we are able to spend the necessary time to deliver the remodel of your dreams at a competitive price. We are always on time and will never surprise you with hidden costs. We will quote you a price and schedule and stick to it, guaranteed! Give us a call or use our handy online form to contact us. We look forward to hearing from you. Designers Northwest delivers professional construction and remodeling services on both commercial and residential projects in Vancouver, WA and the surrounding area. They specialize in construction and building maintenance in medical buildings and retirement centers and remodeling commercial or residential buildings to barrier-free standards. 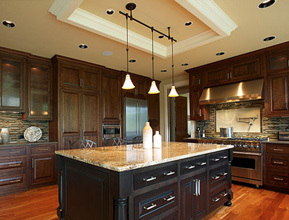 Designers Northwest is committed to providing the best in residential general contractor services. As mess containment experts, Designers Northwest promises to keep their work space immaculate at all times. They encourage any questions, comments or concerns so they can provide you with excellent customer service.